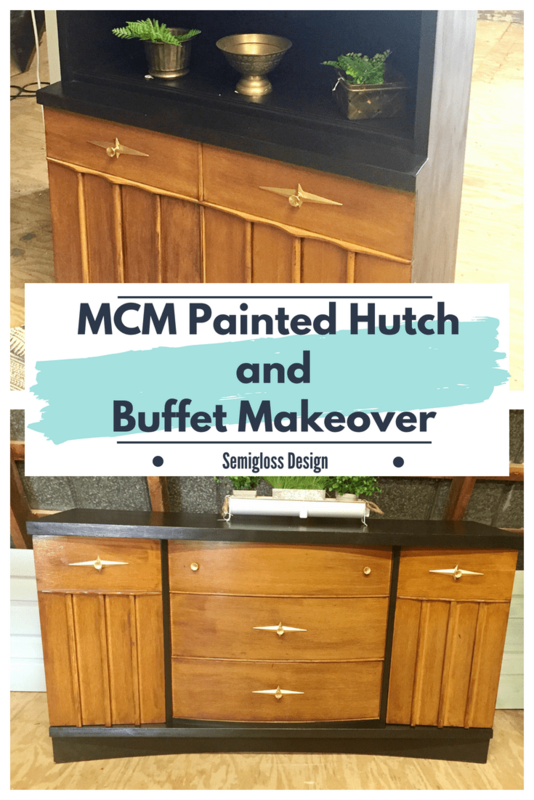 Learn more about this painted hutch and buffet makeover. 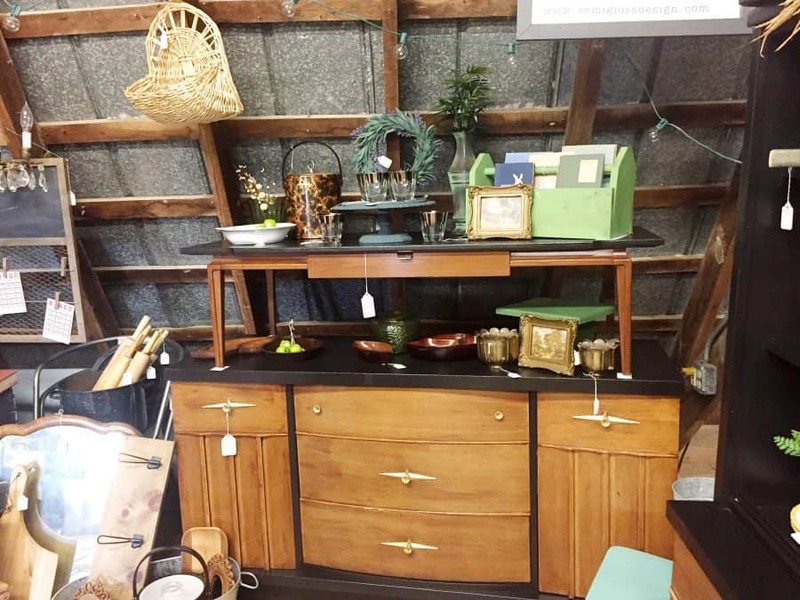 It’s hard to pass up a gorgeous midcentury piece of furniture, let alone two of them! Sometimes you get lucky on facebook marketplace and find dreamy pieces for a crazy low price. 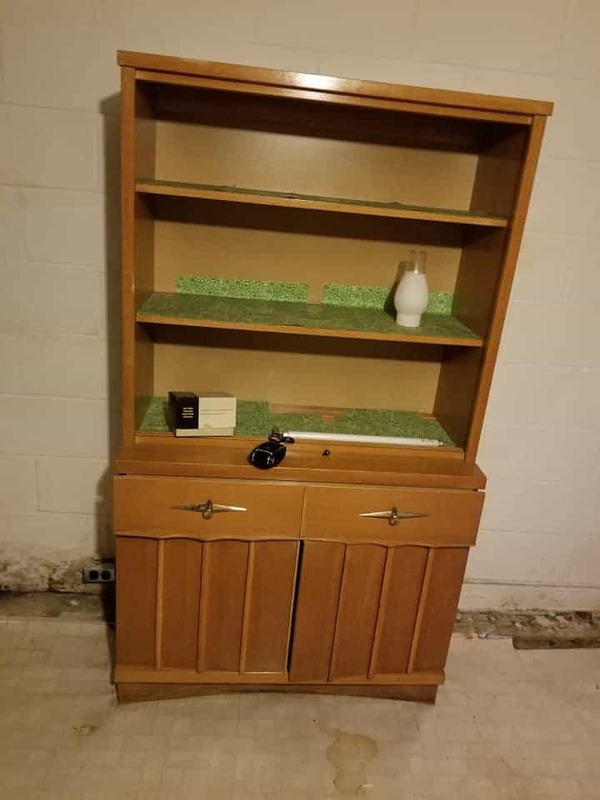 That’s what happened when I bought this MCM hutch and buffet. However, I quickly found out why the price was so low. Read more about how I made 2 pieces shine despite complications. This set had seen better days. The top of the buffet had gouges, it smelled a little and they were both very dirty. 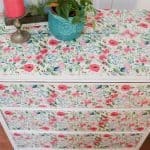 However, I persevered and got this hutch and buffet painted and into Sweet Clover for the August sale. Under the dirt, I could see the potential. Just look at those knobs! By the way, these are two of the largest and heaviest pieces that I’ve done yet. 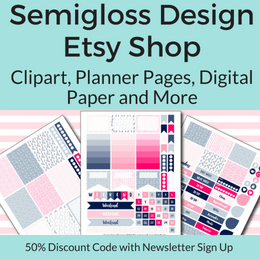 My space at Sweet Clover is upstairs and when we were moving it into the barn, I was definitely panicking, thinking that my arms were going to give out and drop the piece which would kill my husband. Cleaning. These pieces had to be throughly cleaned. I started with a bucket of water and vinegar. The water had to be changed several times before the furniture was clean. Smells. The drawers were removed and placed in the sun to kill any mustiness. Any lingering smells were killed with OdoBan. Remove paper. The hutch had some weird green paper stuck to the shelves, so I ripped it off, revealing a huge sticky mess. I used a scraper to remove what I could and then I applied stripper to remove the rest. After it sat for a while, I used the scraper to remove more of the adhesive. It took a while, but I finally got it clean. Repair. Both pieces had chips and gouges that needed some help from Bondo. This post goes into full detail on how to repair furniture with bondo. Sand. 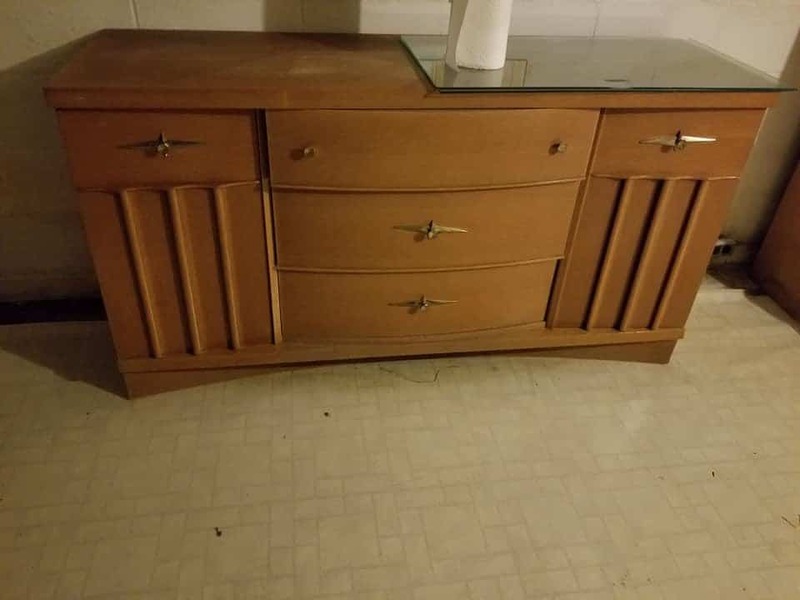 The hutch and the buffet were both lightly sanded to scuff up the shiny surface. Prime. Bondo needs to be primed before painted, but I also price any surface that will be heavily used like the tops of furniture and in this case shelves. I also primed the back of the shelves because they seemed closer to laminate and I wanted my paint to stick. 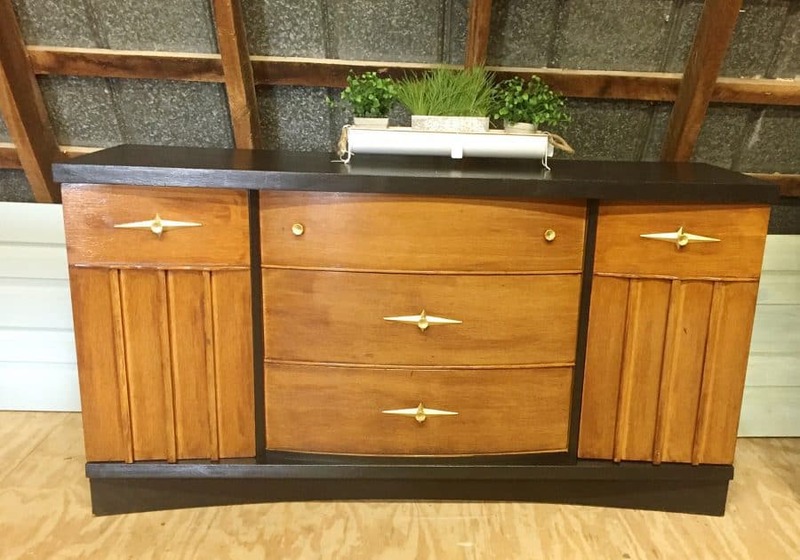 The buffet and hutch were both painted with Sherwin Williams Tricorn Black in eggshell. I like this paint for furniture when I have to paint a large piece. Ironically, I bought it for a piece that still sits untouched in my dining room. Now the can is almost empty. The eggshell sheen is perfect for furniture, without feeling as delicate as matte paint. The doors and drawers received coats of gel stain to provide a nice contrast. 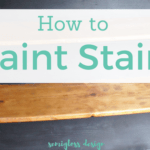 Gel stain is easy to use. Wipe on and wipe off. You can brush it on too for a thicker application, but I just wanted to boost the natural color of this by a little. When everything was painted, it all received several coats of wipe on poly. 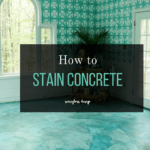 Wipe on poly is, as the name implies, very easy to use. 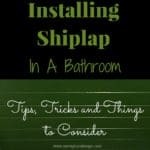 You simply wipe it on. The downside is that it’s oil based, so it yellows lighter colored paint. Not a problem with this painted hutch and buffet though! It dries quickly, so it was easy to give everything several coats of protection. The knobs were rejuvenated with some spray paint. 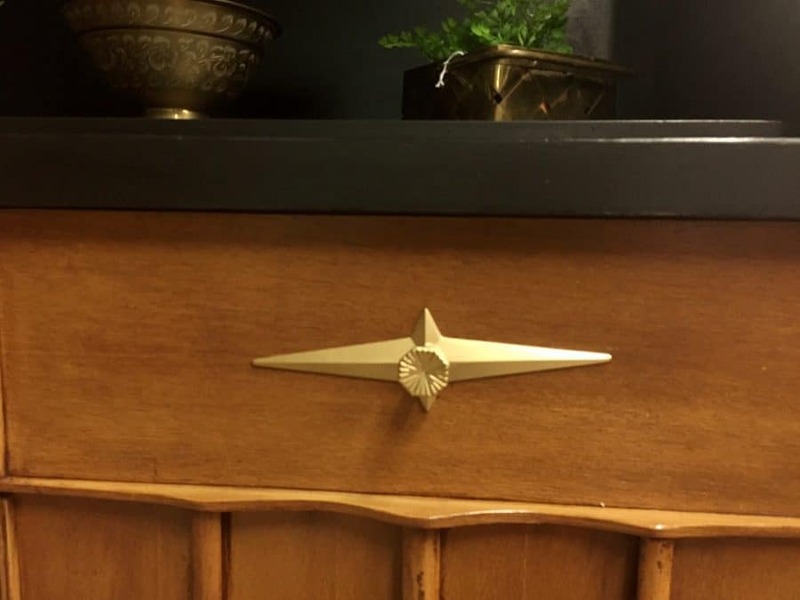 I love natural patina on knobs, but they looked off next to the freshly painted furniture. 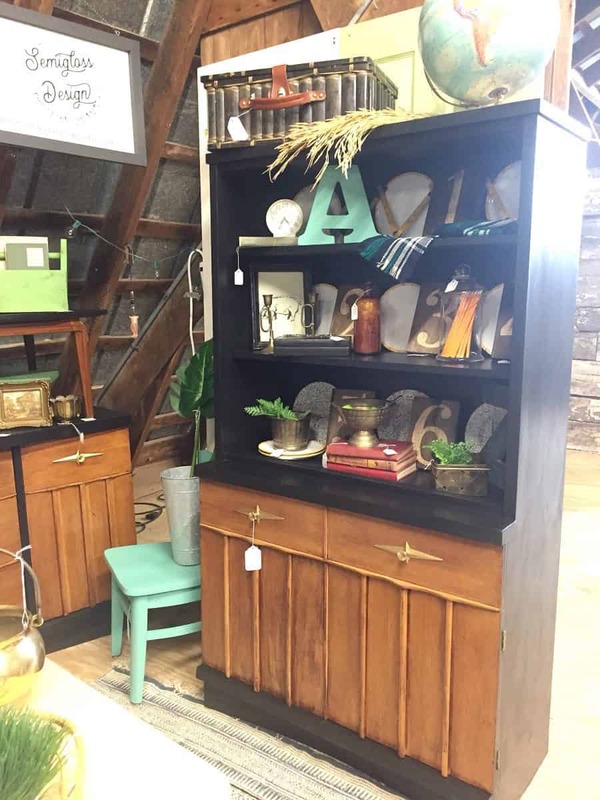 This painted hutch and buffet are available for purchase at Sweet Clover. Each piece is $395. If you’re local to the DC/ NOVA area, come out and say hi. I’m working 2 days this weekend: Friday afternoon and Sunday.